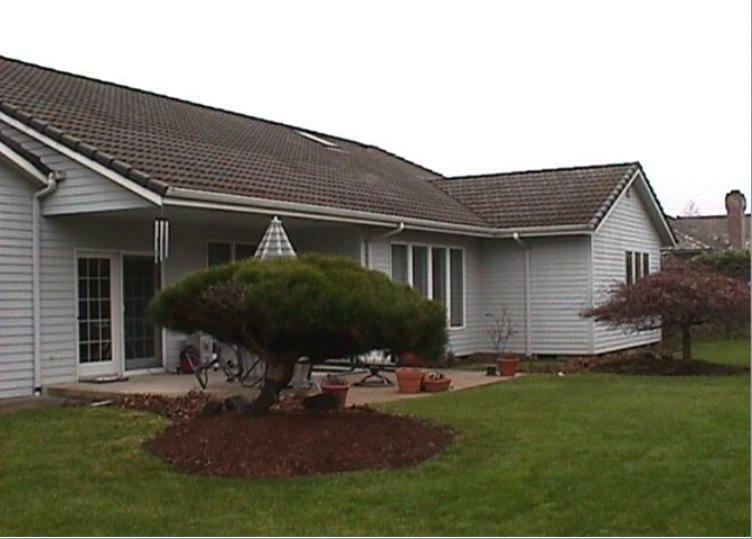 Here is an original house photo that sure could use some Landscape Vision enhancements. 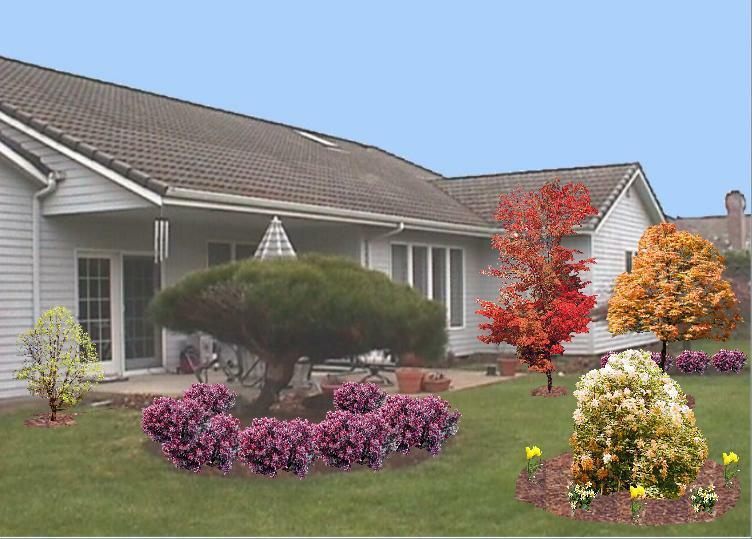 Using this photo, any graphics program, and Landscape Vision, let's try enhancing it in 4 simple steps. 1. Load a drab house and property photograph into any graphics program, photo enhancer, Photoshop, ImageForge, etc. Use Gamma Correction or Brightness to pump up color, contrast, and clarity. Use flood fill on the sky to replace the dreary color with a nice sky blue. 2. Compare this result with the original photograph. 3. Draw some mulch outlines with Landscape Vision, then fill them with mulch patterns. Experiment with lots of different landscaping ideas to decorate these mulch beds with Landscape Vision. 4. Finish your Landscape Vision creation by adding shrubs, trees, and flowers. Now compare this to the original! There need not be a house involved. Feel free to decorate photos of parks, pastures, lawns, woods, golf courses (Landscape Vision can give you putting green fill patterns), business properties, etc. You can even take photos of various public buildings, private businesses or residences, then decorate them with Landscape Vision and show them to the owner as a way to get landscaping or gardening jobs!